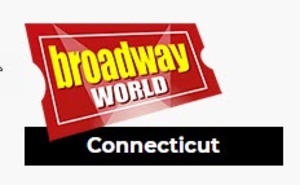 ACT of Connecticut awarded as part of BroadwayWorld’s 2018 Theater Awards chosen by chosen by you - the local theater goers! Congratulations to ACT of Connecticut for winning 2018 Theatre of the Year! In addition ACT of Connecticut's production of "Evita" won in the Equity category for Best Musical & Best Ensemble Performance in a Musical. ACT won personal awards for: Best Actor in a Musical or Revue - Angel Lozada, Best Choreography - Charlie Sutton, Best Costume Design - Brenda Phelps, Best Direction of a Musical or Revue - Daniel Levine, Best Lighting Design - Jack Mehler, Best Musical Direction - Evan Roider, Best Scenic Design - Jack Mehler, and Best Sound Design - Stephen Jensen.